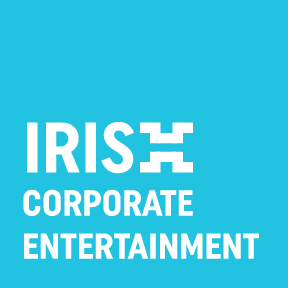 The team behind IrishCorporateEntertainment has the ability to source any and most importantly the right entertainment for your event in Ireland as well as abroad. With our eclectic mix of cutting edge performance acts your event will impress your clients, employees, business partners, spectators, colleagues and also your competitors. We count to our clientele major events companies & international businesses including Google, Facebook and MCI, serving prestigious venues such as the RDS and Croke Park with our qualified artists. Our staff is forward thinking, our acts exclusively for hire only through us, which makes us one of Ireland’s most versatile entertainment booking agency. Irish Corporate Entertainment supplies high quality entertainment with every act hand picked by our team. We maintain a close & friendly relationship with our acts which allows for confidence and trust not only for us in the entertainers we represent but also for the entertainer in us! Utilising our many years of experience, combined with our extensive database of professional artists and our passion for quality, we are able to offer entertainment at a very competitive prices. Copyright 2019 Irish Corporate Entertainment. All rights reserved.